The clock is counting down to the start of Making Tax Digital for VAT - the majority of VAT registered businesses that have a taxable turnover above the VAT registration threshold will be required to comply with the new Making Tax Digital for VAT regime from 1 April 2019. With only months to go before Making Tax Digital for VAT launches, there’s never been a better time to make sure your business is prepared for the upcoming changes to record-keeping and VAT return filing, which includes checking that your business has the appropriate software in place. This article outlines the different types of Making Tax Digital for VAT software that are available, and how to decide which type might be best for your business. Why do I need to have Making Tax Digital compatible software? One of the main changes under Making Tax Digital for VAT is that businesses that fall within the regime will have to file their VAT returns with HMRC using compatible software unless an exemption applies. As part of this digitisation process, a business should complete its VAT return using data taken from digital records. This means that businesses should no longer be able to submit a VAT return to HMRC by manually entering data into the return. What software options are available under Making Tax Digital for VAT? As HMRC is not expected to release its own Making Tax Digital for VAT software, most businesses will likely need to turn to commercial third-party software providers to comply with Making Tax Digital. In general, there are three different types of Making Tax Digital compatible software available for businesses to choose from, each of which is highlighted below. Under Making Tax Digital for VAT, data submitted to HMRC should be sent via an Application Programming Interface (API). Many software providers, including AccountsPortal, offer a fully integrated software solution that is API-enabled and compatible with HMRC’s Making Tax Digital platform. This type of Making Tax Digital solution allows businesses to store their VAT records digitally and also allows them to submit their VAT returns online via the software. This option can be an easy way for businesses to meet their obligations under Making Tax Digital for VAT, with HMRC stating that it "expects most businesses to use API-enabled commercial software packages". 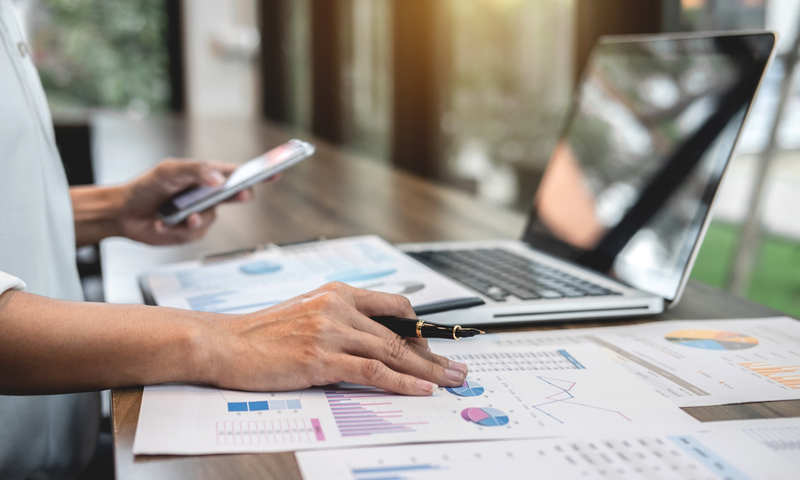 Bridging software allows a business to connect software, such as a non-API enabled Excel spreadsheet or accounting software, to HMRC’s systems and the Making Tax Digital platform. This allows a business to upload and report its VAT data digitally to HMRC. In turn, a bridging software solution should allow HMRC to send information to a business digitally as well, creating a two-way communication link between a business and HMRC. If your business is heavily reliant on one or more spreadsheets when it comes to preparing VAT returns, then you may have heard about API-enabled spreadsheets for Making Tax Digital. "be used to keep digital records and then directly submit the required VAT information digitally to HMRC"
How much time and resources your business can commit to learning how to use new software. "[…] one where a transfer or exchange of data is made, or can be made, electronically between software programs, products or applications […] without the involvement or need for manual intervention […]"
So if, for example, your business is using more than one piece of software to comply with Making Tax Digital for VAT, then those pieces of software should be digitally linked. Thankfully, HMRC has announced a soft landing period for the first year of Making Tax Digital for VAT. This means that in most cases businesses should not need to have digital links in place between all parts of their functional compatible software until 1 April 2020, so there is some time to get prepared. If your business is likely to need to have digital links in place to comply with Making Tax Digital for VAT, then it’s worth giving some thought as to how your business will comply with the digital link requirement when it comes into effect. Equally, it may be worth considering whether it would be easier to switch to a Making Tax Digital solution that does not involve using multiple pieces of software. I already have software in place – do I need to change provider? Is your business’ existing software provider recognised by HMRC? HMRC has published a list of recognised software suppliers who have developed Making Tax Digital for VAT compatible solutions for both businesses and tax agents. HMRC has also published a list of suppliers who currently have such products in development. If your existing software provider has not been recognised by HMRC as having a Making Tax Digital for VAT compliant product, or if they have no plans to offer one in the future, then it may be worth looking for a new software provider. If your software provider is recognised, does your existing provider’s software meet the needs of your business? The answer to this question will be dependent on the nature of your business and your own software preferences. However, if, for example, you know that you would prefer to use integrated Making Tax Digital for VAT software over bridging software or an API-enabled spreadsheet, you should check that your current provider offers your desired solution. AccountsPortal has been recognised by HMRC as an approved software provider for Making Tax Digital for VAT, and offers an integrated Making Tax Digital for VAT solution that allows businesses to not only submit their VAT return online using the AccountsPortal platform, but also allows businesses to meet their digital record-keeping requirements under the new regime.